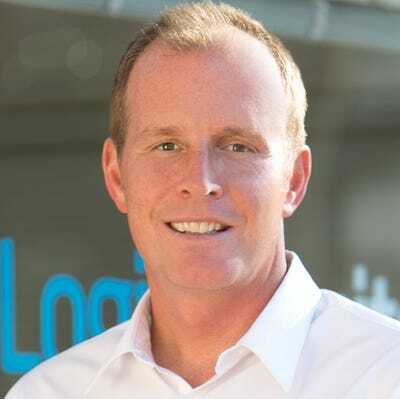 LogicMonitor, a Santa Barbara-based startup, is taking a whopping $130 million investment from Providence Strategic Growth, an affiliate of Providence Equity Partners. That’s a lot of money in a single investment deal, especially as Silicon Valley startups buckle down for a cold winter in the markets. But LogicMonitor CEO Kevin McGibben tells Business Insider that it’s because the company wasn’t built in a very Silicon Valley way that made this big investment possible. “LogicMonitor is a company that we built prudently,” McGibben says. Founded in 2008, LogicMonitor helps customers like Jetblue and National Geographic monitor their computing infrastructures, across both their own data centres and big cloud computing platforms like Amazon Web Services, from one interface. He says LogicMonitor is building its company for the long haul, with annual recurring revenue almost doubling every year. The new cash will go towards marketing, product development, and international expansion. And while McGibben declines to share whether or not LogicMonitor is profitable, he does note that it still has some of the $21 million investment capital it raised in 2012 still in the bank. That’s compared with other competing business software startups, McGibben says, who don’t always have LogicMonitor’s same magic combination of strong growth and solidly-defined business model. “They maybe have one or the other, or maybe they don’t have either,” McGibben says. That philosophy is also reflected in LogicMonitor’s choice of venture capital investors, too, McGibben says. Rather than go with a traditional Silicon Valley venture firm, McGibben says it was an extremely conscious choice to go with an equity firm like Providence. LogicMonitorThe LogicMonitor dashboard helps customers manage their computing infrastructures. Rather than feel pressure into an IPO or some other kind of exit, which was LogicMonitor’s big fear about going to a Silicon Valley firm, they chose Providence because they will let LogicMonitor do their own thing long-term and “let us play it out,” McGibben says. In fact, McGibben says that while the company is certainly considering an IPO in the next few years, and preparing for the possibility, it’s not something that LogicMonitor’s board is treating as the default option. With Providence as a long-term partner, and all this cash in the bank, LogicMonitor may or may not choose to just refine its product and strategy and stay private forever. Or it might still choose an IPO. It depends how things go, and now it has the capital and the successful product to figure it out.